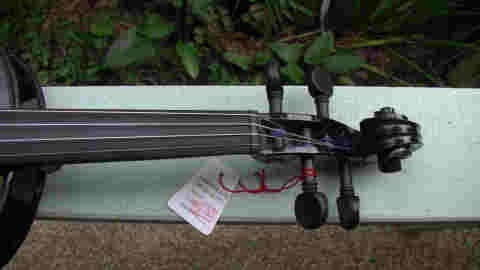 I was browsing eBay and saw a second hand violin that was just about to end its auction. It said only played once. I made a bid and won and this is what I got. The violin had never been played. 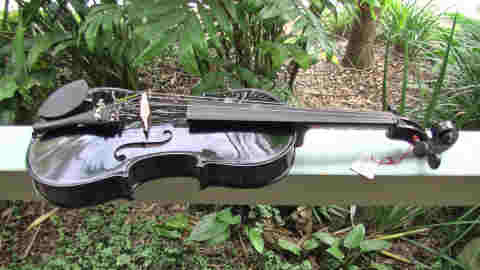 No rosin on the bow or strings. It still had inspection cards attached. It came in its original box in a FPS case. 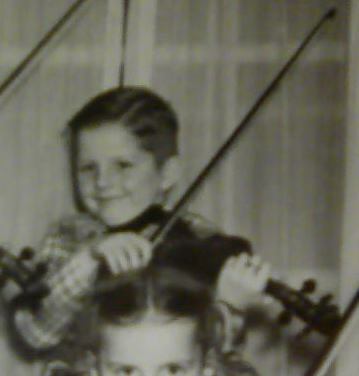 It had all of the bits that come with a ready to play violin including a spare set of strings. I had a rummage through my violin stuff and found a used but good set of Dominants. I fitted them and re-tuned and played it. The difference was striking. 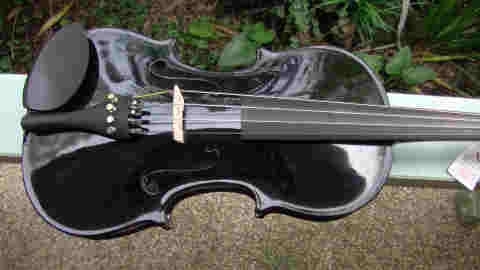 Well that is one pretty hot looking violin! Right on... you needed another for your collection..to prove the humidity / weather... peg situation..right? Scientific..of course..right? Congrats on the good find and good buy!! It may have been made on a production line, hence the manufacturing costs reflect the economies of scale (assuming it is in tune). As Henry Ford once said, "You can have any colour you like so long as it´s black." I've added a video to the post. As I said in the update, "All mistakes, bad intonation, and bow bounce is mine, not the violin's "
Doesn't sound bad at all, Ferret! I'd say you scored good on that bargain. Thanks for adding the sound effects. I guess this is too late, but did you also make a recording of it before you changed the strings ? I am left in suspence. Unfortunately I didn't. It would have been a good idea. Actually I'll probably take it out to our cabin out in the boonies and leave it there rather than take one with me every time I go there. Well...I think that is a positively smashing idea. 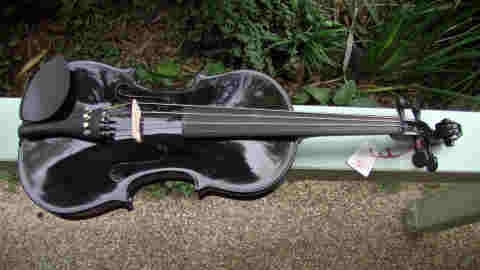 Not bad student violin. Definitelly worth the money! Congratulations! Nice find Ferret, and it sounds good too! Love the black finish, and from the pictures it looks like they did a quality job on it. 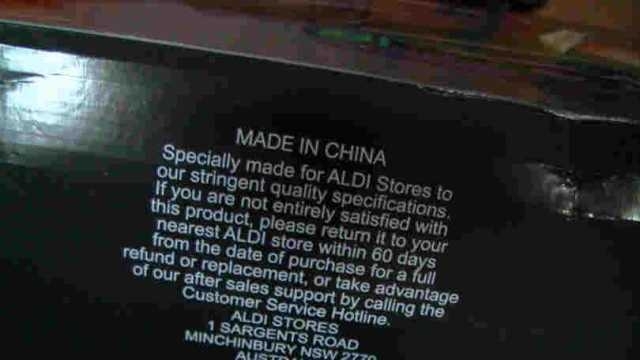 After some research, I have found, much to my surprise, that it was made for the supermarket chain, Aldi. So, how cool. 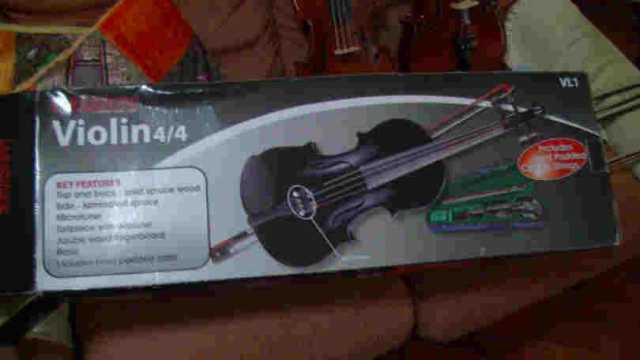 I got a supermarket violin. Who else of you could say that? I didn't know, ALDI sold violin's. I have two ALDI's near me and have never seen any playable instrument's in them. ALDI's... Never seen any musical instruments at the one we have local, but I will def keep an eye out. Some of their food, small appliances and cookware aren't bad. Doesn't sound bad at all. Definitely not the sound that would come to mind if someone said "grocery store violin". To my noobish ears, sounds like the top plate may be a little stiff and after you've played it in a bit the sound should warm up some. Is the action comfortable? I have never heard of a grocery store Violin... Wow who knew? places like that do all kinds of random stuff. I remember Lidl selling unicycles.